This two-story modified Tudor in Edina had enough square footage for a young family, but not an efficient main living floorplan. 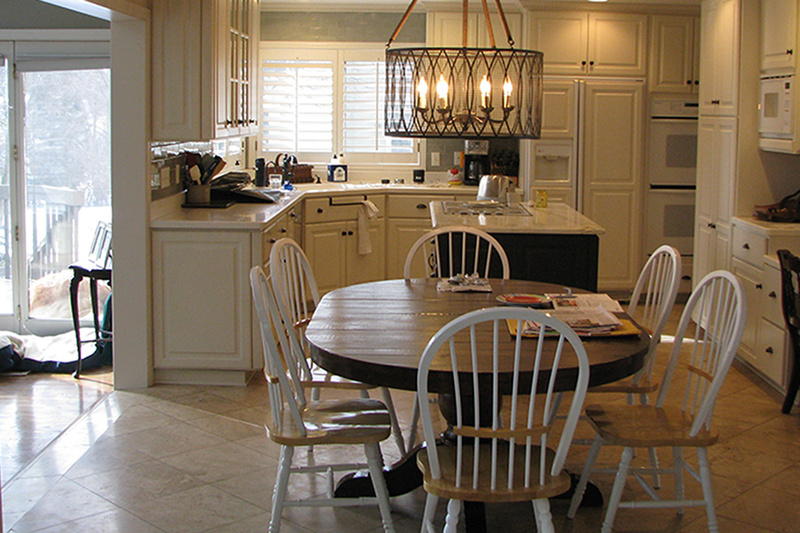 A wall, varying floor heights, and posts closed in on the kitchen table, which was shoehorned next to a small island. AMEK’s challenge was to unify the 1,000-square-foot area to fit how today’s families live on a daily basis. 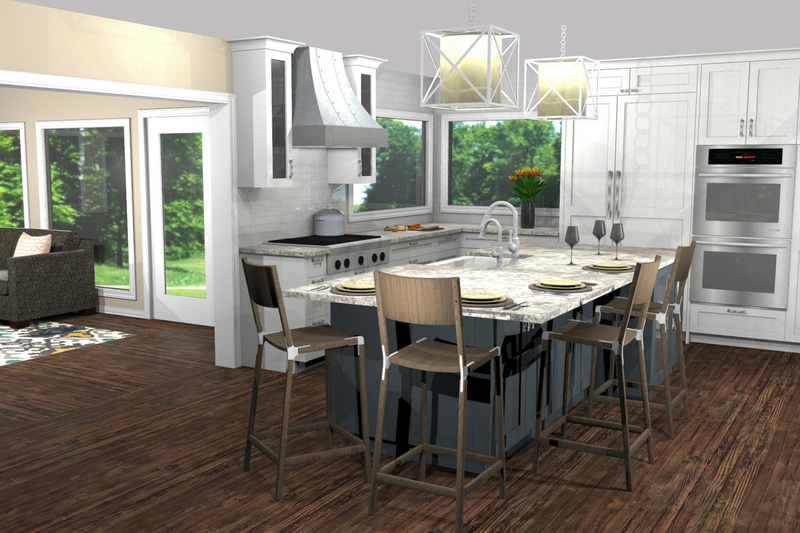 The new design features a larger kitchen island with seating opening up to freely connect with the living room, all-season porch and dining room. The kitchen is now the main course for this remodeled Edina home with generous helpings of high-end finishes including Cambria countertops and custom cabinets with glass fronts and appliance panels. A beverage center with individualized temperature controls, built-in dining room buffet, and Jenn-Aire and Vent-a-Hood appliances fill out the menu.